Live the Montego Dream behind the gates of this tropical paradise. 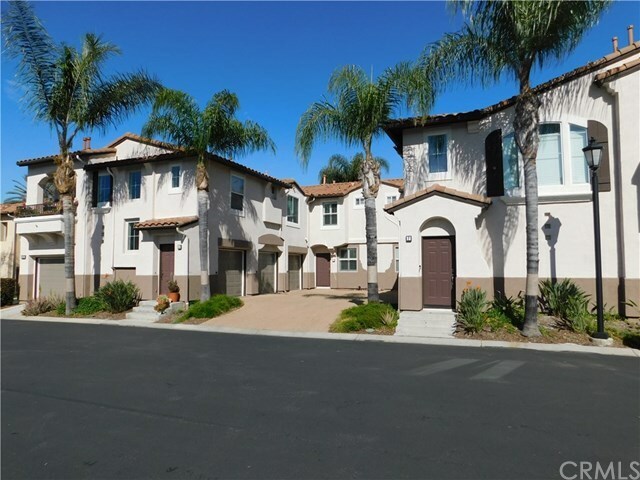 Montego is a highly sought after community due to its lush tropical landscaping, resort style pool, 2 spas, tot lots, all within close proximity of the 215 & 15 freeways, restaurants, shopping, dining, old town Temecula, wineries, Pechanga Casino, award winning golf courses and much, much more. This beautiful 2 br. 2.5 ba. townhouse style condo is loaded with upgrades including: New carpet and downstairs paint, plantation shutters throughout, Formica kitchen counters, upgraded cabinets throughout, hardwood floors on first floor and high end laminate in upstairs bedrooms and landing, upgraded lighting, marble tile in baths, tile patio, newer water heater, direct access garage with cabinets and overhead lighting. As if that isn't enough the owner has elected to include the washer/dryer and refrigerator in the sales price. If you have been waiting for the right Montego condo to hit the market your wait is over. Condos in Montego are typically snapped up in a matter of days so hurry and start enjoying this fantastic home in this wonderful community as much as the current owner has. This fantastic home is truly a must see so schedule a private showing today. You will be glad you did.